There’s no need to memorize codes to use NowMD. Everywhere linked information is accessed, like assigning an insurance carrier, service facility, employer, guarantor or any other of many more types of informaion, typing a few characters of a name or description finds all of the database items that match the search. For data entry fields that permit a search, type a few characters of the name of the database item you’re looking for and press the tab key to begin a search. Press the number to the left of the item to select it for the data entry field. Clicking the magnifying glass icon also displays the search window. When the item isn’t found in the database, click the New button to add it without leaving the original data entry window! Touch typists appreciate the ability to use NowMD practice management software without moving their fingers from the keyboard. Most data entry can be done without touching a mouse! Insurance claims can contain much more data than any provider needs to supply to be paid for their services. Data entry windows with all these fields can be incredibly hard to navigate! NowMD medical billing software supports customized data entry templates in Encounter Entry that can contain exactly the information needed for the claim and even check for required information. 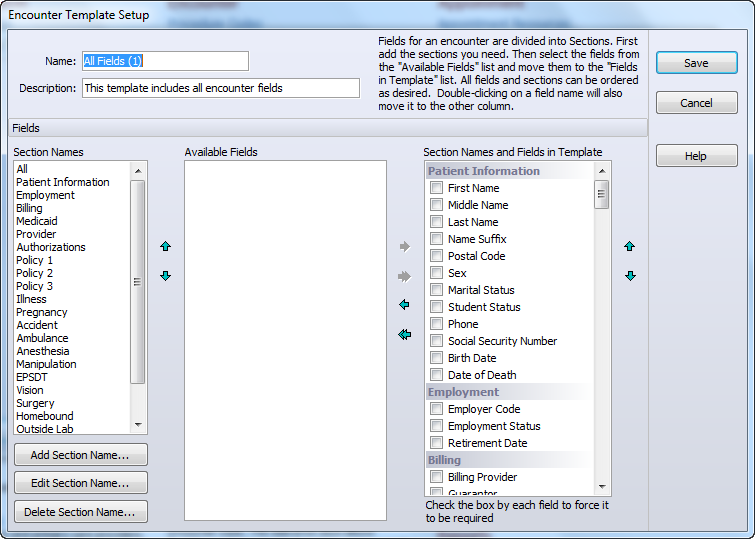 Data entry windows offer custom data entry fields that can be named and used to store custom information for your needs. 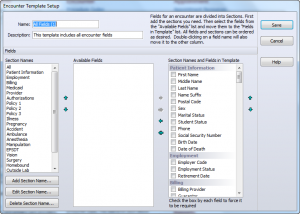 Assign names to custom fields to simplify data entry. Custom fields can be added to standard or custom reports. NowMD’s payment wizard helps separate insurance payments into individual line item payments for each service line on patient encounters. Track fee schedule adjustments, non-covered services, copayments and charges that were applied to a patient’s deductible. Use NowMD’s notes feature to record information for patients, encounters, follow-up progress, insurance plans, office staff and much more. One mouse click inserts the date and time of the note and the staff code of the author.